2016 Giro Italia…what a race!!! Unfortunately, MMT is currently off the bike and out of action with what would have to be the worst ailment a cyclist can possibly have, bar bulging disks in the lower back, broken bones or face planting on Belgian pave and knocking out all your front teeth. Notwithstanding that piece of whingeing, how about the Giro 2016 edition?? With nine different race leaders and a thrilling last week in the mountains, that was epic. Man I can’t wait for the centenary version next year. Estaban Chaves crosses the finish line of Stage 18. Estban Chaves take a bow, to achieve second behind the wily Vincenzo Nibali was an incredible result. MMT once wonders how long before he becomes a naturalised Australian citizen. My guess is that Columbia won’t be too keen to let him go. Neither will Orica-GreenEdge, who for the first time in their team’s existence, have a genuine General Classification (GC) rider for the Grand tours. Chaves, Nibali and Valverde on the Giro Podium in Torino. Speaking of genuine GC riders, chapeau!!! Vincenzo Nibali. I thought Nibali was gone after a horrendous mechanical failure on stage 15’s uphill time trial, and again in Stage 18, both Kruijiswik and Chaves put time into Nibali. So Nibali’s comeback in winning stages 19 and 20 back to back was an astonishing effort. I guess it’s the old adage of never write off a champion. Also, he showed genuine sportsmanship in greeting Estban Chaves’s parents at the stage 20 finish line. I also had to feel for Stephen Kruijswijk. If he had more support through the mountain stages and hadn’t had such an awful crash on stage 19’s descent on Colle dell’Agnello. He may well have beaten both of them. For example, if had rider like Astana’s Scarponi, up the road and able to assist the eventual stage winner Nibali, this could have been an against all the odds Dutch victory. The dreaded Maglia Nera as designed by Pinarello. Finally, I would like to talk up the return of the Maglia Nera, the jersey awarded to the last placed rider in the GC. The jersey was only awarded to riders between 1946 and 1951. As there was a prize, riders would sometimes deliberately waste time in order to become last overall. More importantly, it’s a really cool looking jersey that those of us drafting at the back of the peloton would happily wear. 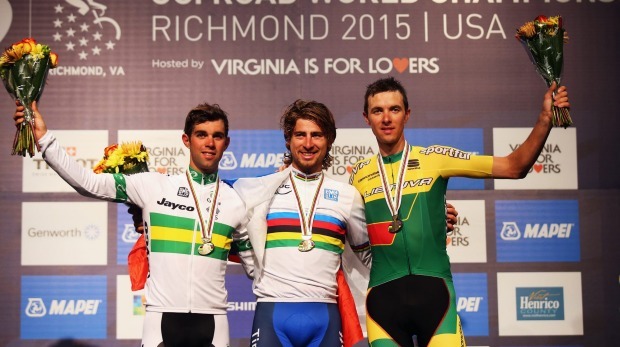 This year the unofficial title was ‘won’ by Australia’s own Jack Bobridge of Trek-Segafredo. Bring back the Maglia Nera!!!! This entry was posted in Grand Tour, UCI Events and tagged Colle dell'Agnello, Esteban Chaves, giro d'italia, Jack Bobridge, Maglia Nera, orica-greenedge, Stephen Kruijswik, Trek-Segafredo, Vincenzo Nibali on June 6, 2016 by Marv. Driving up Mont Ventoux in Provence, France. Checking out some very cool bike shops in London and spending way too much money. 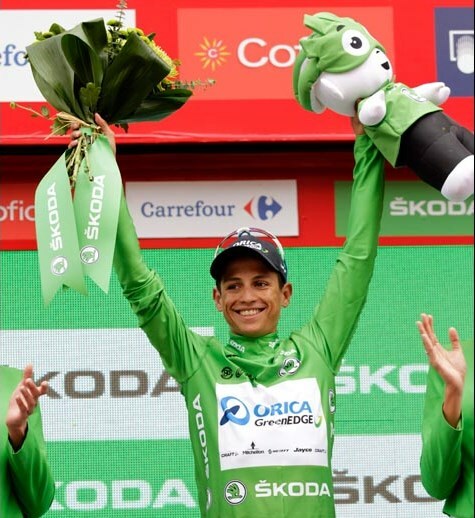 Finally, a big ‘chapeau’ to Esteban Chaves of Orica-GreenEDGE who finished 8th in the 2015 Giro di Lombardia, a slender 56 seconds behind the winner, Vincenzo ‘I won’t cheat this time’ Nibali. Surely it must be time make Chaves an Australian citizen. This entry was posted in Humour, Monuments, UCI Events and tagged Esteban Chaves, giro di lombardia, Mont Ventoux, orica-greenedge, Otero, Vincenzo Nibali on November 3, 2015 by Marv.